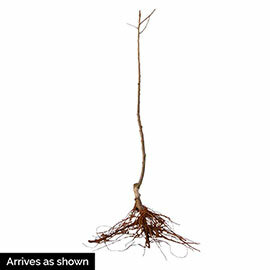 Pixie Crunch Apple Tree | Henry Field's Seed & Nursery Co. This sweet beauty is absolutely unparalleled for fresh eating. One bite and we guarantee you will agree. 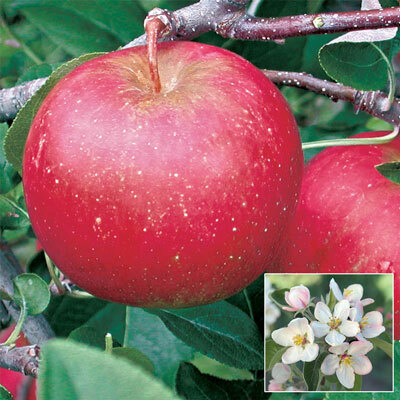 This apple "explodes" with a breaking crispness, tantalizing your taste buds with mouthwatering flavor and juiciness. Delectable sweetness works wonders in no-sugar pie recipes and baked goods—cooks up tender every time. A favorite apple with children because of its flavor. We've seen kids choose this over candy and sweets! As if being tops in taste were not enough, Pixie also bears reliable annual crops starting in its third year for standard trees and often in its second for Li'l-BIGs, handling late frosts much better than other varieties. Matures late August. Zones 5-8. U.S. Patent No. 13871. This is by far the best tasting apple I have ever eaten. I started growing my own fruit, but previously bought all my fruit at local orchards, so I know fresh is always better. The apples are a little smaller than my red and yellow delicious, but well worth it for the flavor. I got my first apples off of my tree this year! These apples are unbelievably CRISP and Sweet with just a touch of tart! Talk about an all around any use apple.....this one is IT!!! Love it!